This collections contains 80 exercise cards: 4 exercises per A4 page. Simply print, cut and use. If you are a PE teacher and you are looking for new ways to engage your students you can use this collection of bodyweight exercise cards and utilize them during your lessons. 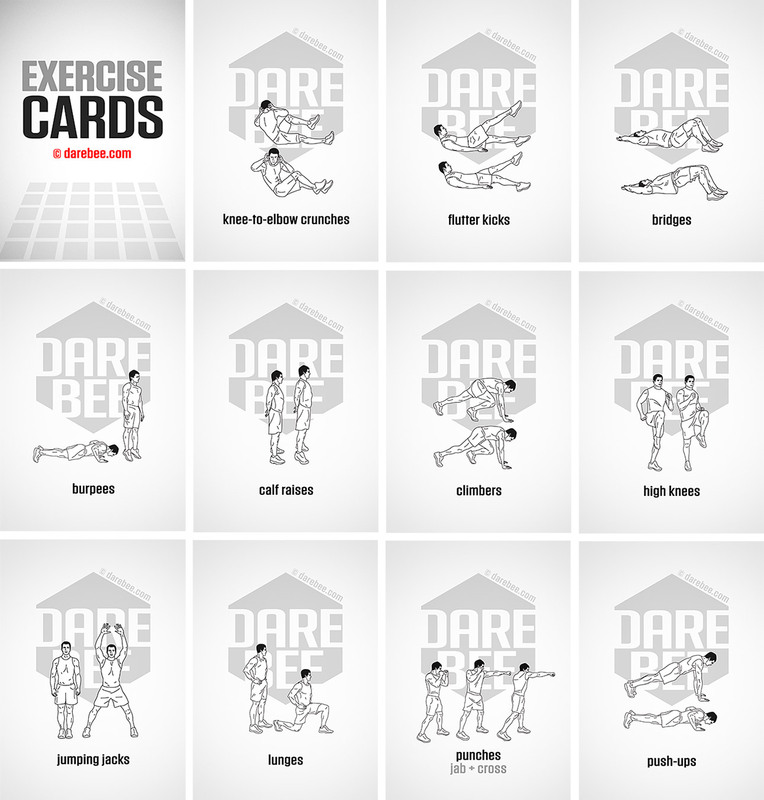 Let your students design their own workouts on the fly with the DAREBEE exercise cards! This collection is complete and it is absolutely free - no strings attached. The project is supported exclusively via donations, we have no sponsors or ads on this website. If you like this collection, please consider donating a dollar to help us support and maintain this resource.